While many businesses are making the move to paperless document storage, countless others are still using hard copies of their most important business documents. If your business still stores paper files, you may be curious as to what you need to do with those important documents after they’re not needed anymore. Whether it’s a list of customers, transaction records, payroll documents, or credit card information, it’s important that these documents are disposed of safely and securely. 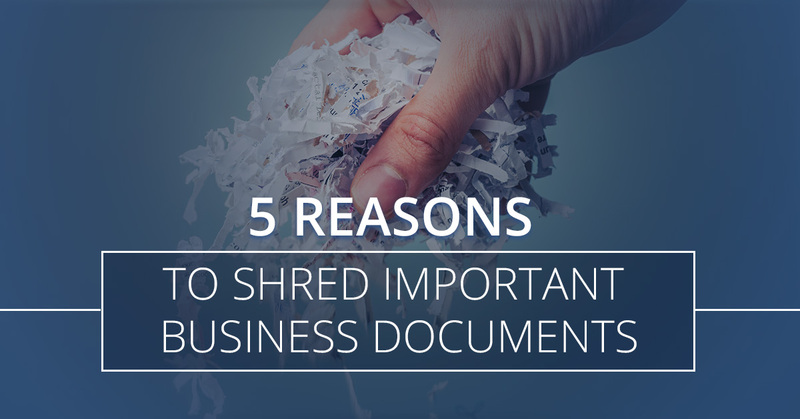 With that being said, we have gathered five of the biggest reasons why you should shred these important documents. For the most secure document shredding available in Chicago, call Access Information Management today. Per the Bureau of Justice Statistics, as of 2012, nearly 17 million U.S. residents over the age of 16 were victims of some form of identity theft. It is your duty as a business owner to take the proper steps to protect your employees, your customers, and your business. That makes it imperative for you to shred documents when they’re no longer necessary to hold onto. Storing these documents in a safe and secure area is incredibly important until you are able to shred them. When someone gives you business, they are placing trust in you that their information will be protected. That makes it incredibly important for you to respect that trust and do everything you can to protect their identities and personal information. While it is never a good idea to write down credit card information, if you do, it’s critical that you shred that information immediately. This also applies to any other customer information, such as addresses, phone numbers, email addresses, social security numbers, and any other sensitive information. 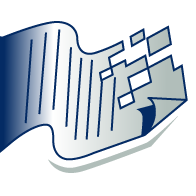 Any documents that contain sensitive customer information must be shredded to protect them. If something happens to customer information on your watch, it will be a huge strike against your business in the court of public opinion, and they will be less likely to trust you in the future. While the previous entries focus on personal responsibility, it is such a serious situation that legislation continues to evolve regarding personal information. Not only is this legislation becoming more comprehensive, it is also being strictly enforced. Businesses that do not comply with these regulations are subject to severe penalties. That means it isn’t just protecting your customers, it is also protecting your business from fines and other recourse from law enforcement. Mishandling customer information is a mistake you can’t afford to make. Just like your customers, employees have a legal right to their privacy. They place a lot of trust in you that their personal information will be kept safe. How are you disposing of voided checks used for direct deposit, old pay stubs, time cards, health records, copies of photo IDs and social security cards? Tossing them in the trash is not an option because it is a clear lack of effort to protect your employees’ privacy and personal information. It is far safer to shred these documents instead of throwing them in the trash where they can be easily retrieved. Towers of papers make an office difficult to navigate. It’s incredibly tough to find a specific document when you have to go through hundreds of others that are no longer relevant. When you shred documents that aren’t necessary to hold onto anymore, you free up much-needed space within your building. Not only will this make it easier to find the things you need, it will open up an area to add something that can improve your business, like a new computer to store documents on when you go paperless. Shredding documents that feature sensitive information protects everyone involved in a business. From the customers to the employees, to you, the business owner; everyone has a legal right to privacy. Cut down on your clutter and follow the law to protect this information. If you are looking to shred your outdated or sensitive documents, call Access Information Management today.